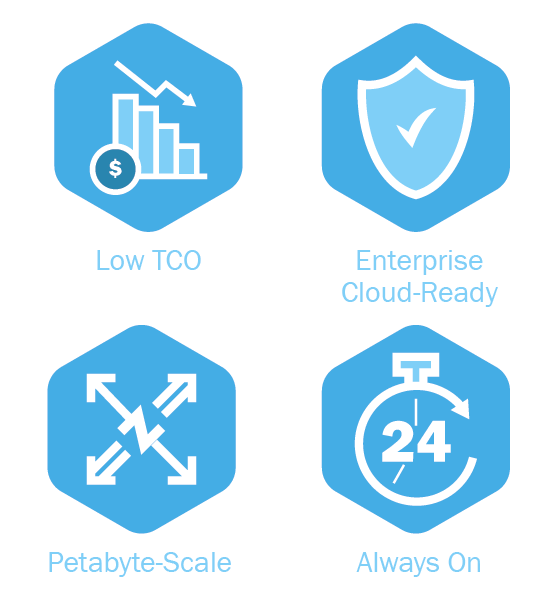 Petabyte-scale data storage with performance, reliability, and massive scalability. Opus Object Storage, powered by Scality, enables enterprises to run petabyte-scale, data-rich services like web applications, VOD, active archives, compliance archives, and private storage clouds. Acting as a single, distributed system, Opus object storage can scale linearly across thousands of servers and an unlimited number of objects. Data is protected with policy-based replication, erasure coding, achieving up to 14 9s of durability and 100% availability. In a recent Forrester Total Economic Impact study, Scality RING customers realized 229% ROI and payback on their storage costs within 6 months. 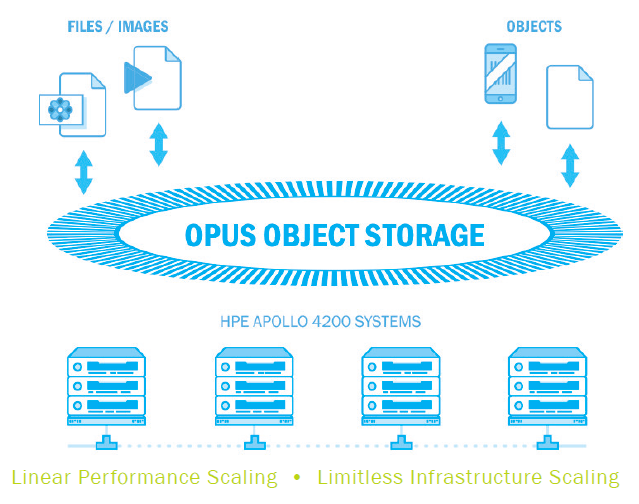 Download the Opus Object Storage Brochure to learn more. Download the Forrester White Paper. Learn more or request a quote! 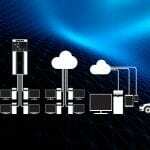 Delivers high bandwidth in a single multi-application environment that includes file and object/S3 applications. Maintains availability through hardware failures, capacity expansions, and software upgrades with minimal intervention. Scales out linearly and limitlessly without adding administrator overhead or additional components. Provides an enterprise bridge to object storage solutions within traditional rack server data centers. Takes advantage of massive consolidation to reduce costs significantly. Metadata and data are secured using replication, so that a storage node failure does not result in data loss. Opus Object Storage provides isolation for its containers, each container consists in a single database file. Integrity checks are performed periodically to ensure that no silent data corruption or loss occurs. With erasure coding you can store objects durably with a much lower overhead than standard replication. A container has the ability to track several versions of the same object. Using object versioning, you can list and restore previous versions of an object. 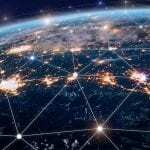 We offer IT solutions from state-of-the-art datacenters that deliver unprecedented levels of energy efficiency, security, and reliable connectivity resulting in cost-savings and peace of mind for our customers. why customers choose Opus InteractiveWhether you’re just starting out, or exploring solutions to allow you to focus more intently on your core business, Opus Interactive offers a range of benefits for your business. We work with you to understand your unique business requirements and goals and design custom solutions that deliver. Our team of experts is committed to working closely with customers to solve problems and drive business success. 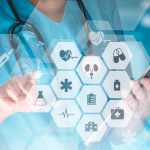 We're experienced in the programs, systems, and technologies that businesses depend on, including SAS70/SSAE 16, PCI-DSS and HIPAA. We’re proud to partner with leading companies that are known for quality and reliability to deliver products and services you can rely on. 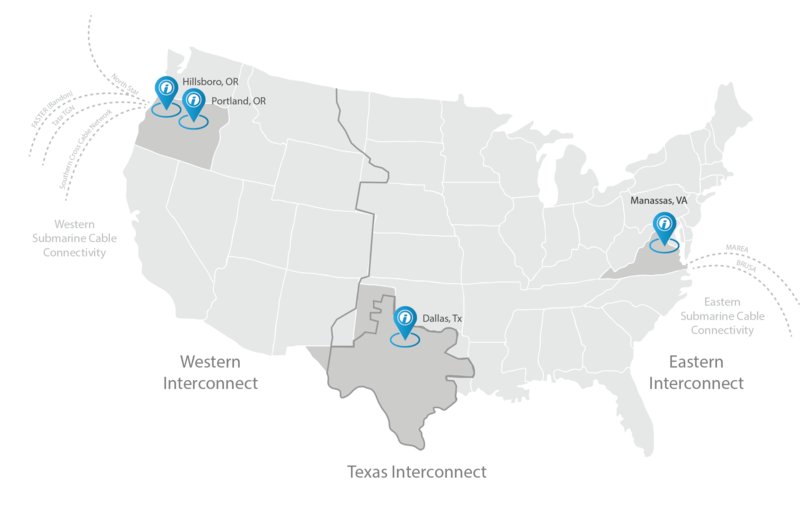 Opus Interactive combines leading class facilities with our own highly resilient network to offer a reliable environment for your IT infrastructure. From CEO to support technician, our team is made up of experts that are dedicated to delivering what you need, when you need it. If the server went down it would shut our doors. It’s what we rely on. It’s how we get our work done. The staff at Opus Interactive is friendly, knowledgeable, and helpful; I trust that I will get the solutions and assistance I need whenever I reach out to them. Working with Opus has not only helped us grow our business but has also enabled us to bring larger and more sophisticated customers into our stable. The reliability and scalability of Opus’ cloud solutions has really opened up our possibilities. The benefits of this migration were immediate. Uptime improved, translating to growth and increased results for ATI—ultimately delivering more value to our clients. For this, ATI has extended its initial service agreement with Opus Interactive for another three years. Learn more about our services or request a quote!